The app combines an emoji keyboard with a match-three puzzle game. 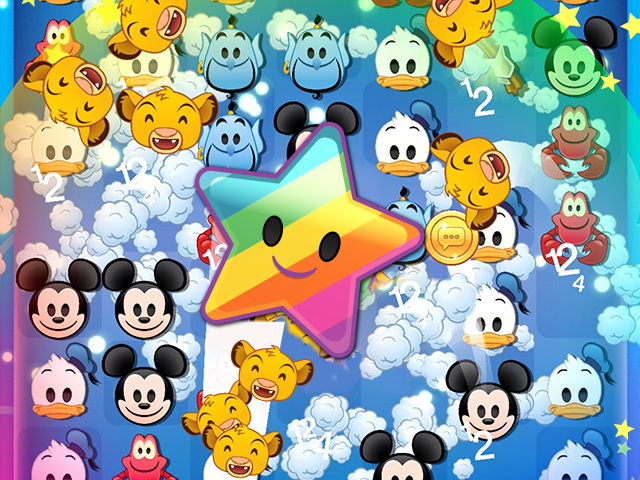 Disney announced the release of Disney Emoji Blitz on iOS and Android. The app combines an emoji keyboard with a match-three puzzle game. In each game of Disney Emoji Blitz, users have 60 seconds to earn as many points as possible by creating lines of three or more matching emoji. As users play games, they can complete missions and collect coins, which can be spent on new character emoji. The app includes more than 400 Disney emoji, including emoji from The Little Mermaid, Cinderella, The Lion King and more. Each character emoji has a special power. For instance, Ariel can use bubbles to clear some emoji symbols from the screen. Players can select an active character emoji for each game, and they can charge this emoji’s special power by making multiple matches with the emoji’s symbols while playing. As users collect emoji, they can use them on the app’s custom keyboard outside of the game. In addition to character emoji, the app includes emoji such as hearts, glove hand symbols and Disney souvenir items. Finally, users can spend coins on power-ups, which may give them extra time or bonus points (as examples) in a future game. Players can also collect special items while playing by dropping these items to the bottom of the board. As users collect sets of required items, they will receive in-game prizes, and they will also unlock extra emoji they can use in the app’s custom keyboard.